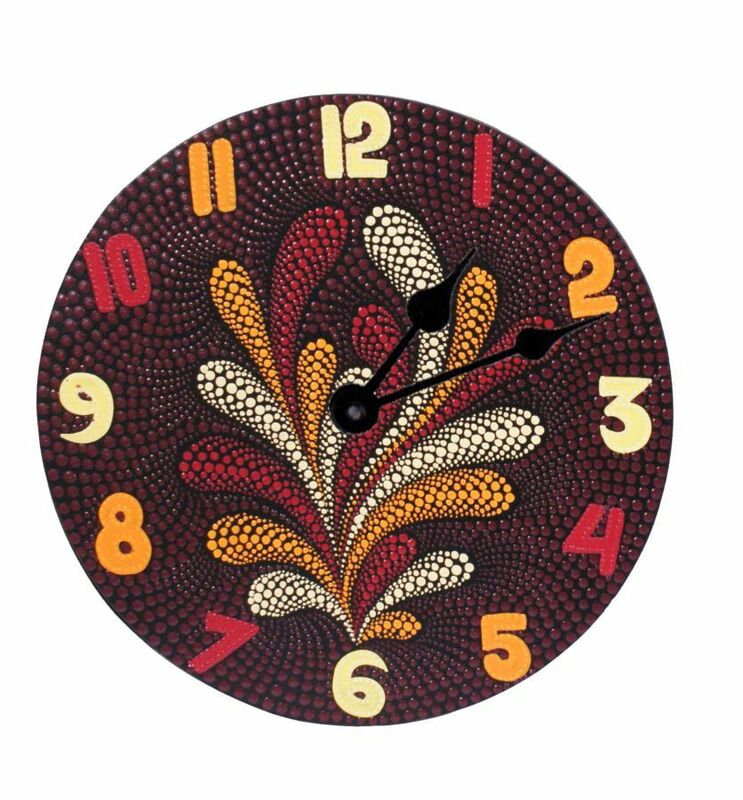 Aladdin wooden aboriginal style wall clock with abstract leaves of yellow and orange. Clock measures approximately Dx15.4". Made in Indonesia.